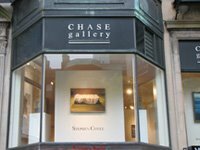 Chase Gallery is moving from Newbury Street in Boston to the city’s South End gallery district along Harrison Avenue. “Traditionally the center for art galleries in Boston, Newbury Street's changing atmosphere has caused many galleries to seek new and alternative space. The South End's gentrified former warehouse district, between Washington Street and the Expressway, has quickly become a vibrant mecca for art and design. Coggeshall Farm Museum, Bristol, $500. City of Central Falls, $4,000. Cross Mills Public Library, Charleston, $500. Erik J. Carlson, Cranston, $2,000. Dance Alliance of Rhode Island, East Greenwich, $500. Scott Indermaur, East Greenwich, $2,000. East Providence Heritage Days, $3,000. The Providence Singers, East Providence, $12,341. Rhode Island Philharmonic Orchestra and Music School, East Providence, $89,471. Top Drawer Art Center, East Providence, $2,500. Swamp Meadow Community Theatre, Foster, $1,500. Autism Project of Rhode Island, Johnson, $6,000. Kingston Chamber Music Festival, $2,000. Little Compton Historical Society, $500. Common Fence Music Co., Middletown, $3,500. Boys & Girls Clubs of Newport, $5,000. Redwood Library and Athenaeum, Newport, $500. Flickers, the Newport Film and Video Society, $4,000. Friends of Ballard Park, Newport, $2,000. Island Moving Company, Newport, $21,630. Newport Art Museum & Art Association, Newport, $24,236. David Angell, North Kingstown, $1,500. Kurt Van Dexter, North Kingstown, $2,000. Julie Danho O’Connell, North Providence, $1,000. 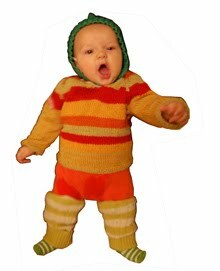 All Children’s Theatre Ensemble, Pawtucket, $6,000. Blackstone Valley Tourism Council, Pawtucket, $5,000. Mixed Magic Theatre and Cultural Events, Pawtucket, $4,000. Old Slater Mill Association, Pawtucket, $15,000. Sandra Fienstein-Gamm Theatre, Pawtucket, $34,820. 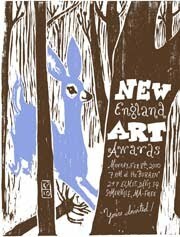 VSA Arts of Rhode Island, Pawtucket, $4,000. Joseph O. Addy, Providence, $2,000. Apeiron Institute for Sustainable Living, Providence, $2,000. CenterCity Contemporary Arts, Providence, $1,500. CVS Highlander Charter Elementary School, Providence, $500. Joshua J. Enck, Providence, $1,000. Everett Dance Theatre, Providence, $29,096. Festival Ballet Providence, Providence, $29,273. Vartan Elementary School PTO Gregorian, Providence, $6,000. Hmong United Association of Rhode Island, Providence, $3,000. M. L. King Jr. Elementary School PTO, Providence, $750. The Manton Avenue Project, Providence, $4,000. Annu Palakunnathu Matthew, Providence, $1,000. Olneyville Housing Corporation, Providence, $2,000. Project New Urban Arts, Providence, $4,500. Providence Black Repertory Company, Providence, $18,511. Providence CityArts for Youth, Providence, $3,000. Providence Community Opportunity Corp., $5,500. 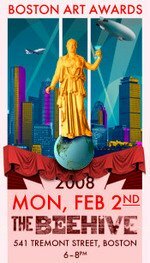 Providence Festival of New Latin American Cinema, Providence, $5,000. Providence Performing Arts Center, Providence, $6,685. City of Providence Department of Public Parks, $5,500. Rhode Island School of Design, Providence, $87,550. 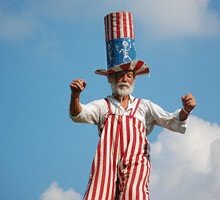 Rhode Island Black Storytellers, Providence, $6,000. Rhode Island Civic Chorale & Orchestra, Providence, $1,500. Rhode Island College Foundation, Providence, $5,142. Rhode Island Film Collaborative, Providence, $3,500. Rhode Island Public Radio, Providence, $1,500. Michael Sanders Stoltz, Providence, $1,000. Trinity Repertory Company, Providence, $113,125. Woonasquatucket Valley Community Building, Providence, $2,000. Pippi Anne Zornoza, Providence, $2,500. Tiverton Four Corners Center, Tiverton, $1,000. Hera Educational Foundation, Wakefield, $3,000. Marc Joel Levitt, Wakefield, $4,000. South Kingstown School Department, Wakefield, $4,000. 2nd Story Theatre, Warren, $5,000. Gateways to Change, Warwick, $2,000. Kent County Chapter Arc, Warwick, $3,500. Wayne G. Miller, Warwick, $1,000. Lydia E. Perez-Nieves, Warwick, $1,000. Puerto Rican Institute for Arts, Warwick, $1,000. Rhode Island Coalition Against Domestic Violence, Warwick, $3,500. South County Center for the Arts, West Kingston, $9,256. Colonial Theatre School, Westerly, $7,000. Northern Rhode Island Council of Arts, Woonsocket, $1,500. RiverzEdge Arts Project, Woonsocket, $6,000. 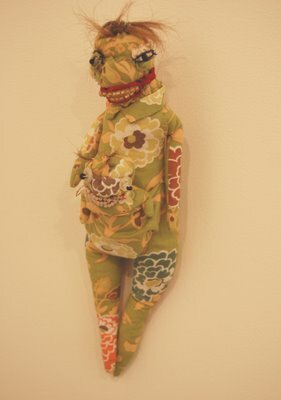 My review of “Trash Island: New work by Jill Colinan and Kendra Plumley” at AS220’s Project Space in Providence is here (at the end). “Trash Island: New work by Jill Colinan and Kendra Plumley,” AS220 Project Space, 93 Mathewson St., Providence, July 8 to 27, 2009. Pictured from top to bottom: Jill Colinan, installation shot featuring from left to right “Melissa,” “Brownie,” “Cat Suit,” “Stripes Morrison,” and “Rusty Nail”; “Mr. 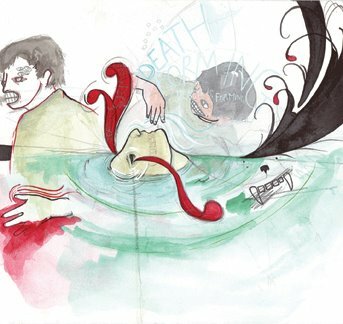 Green,” mixed media; “Rusty Nail,” mixed media; Kendra Plumley, "Death Forming" watercolor, gouache, & liquid acrylic; “Death Dozen,” mixed media; and “Biting the Hand,” watercolor, pencil, gouache, gold leaf. Travel out west along Route 2 in Massachusetts and you’ll find a strange and wonderful collection of Native American-themed roadside sculptures and paintings. The route is officially designated as a “scenic highway,” known as the Mohawk Trail. It grew out of what was once a footpath used by the Pocumtuck of what is now Massachusetts and the Mohawk of what is now New York. Later English settlers used the route to get between Boston and Deerfield and Dutch settlements in New York. Benedict Arnold traveled it on his way to capture British Fort Ticonderoga in New York in 1775 and seize the canons used to drive the British out of Boston. That’s the history that this roadside art taps into. Sort of. It’s that “sort of” that makes this art most interesting, because that gray area between fact and fiction aptly reflects how European-Americans tell and confuse and warp the story of their (our) long, fraught relationship with Native Americans. 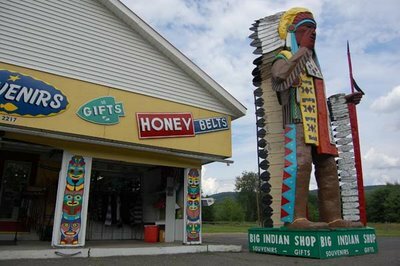 Pictured from top to bottom are the Big Indian Shop in Charlemont, Indian Plaza in Charlemont, Mohawk Trading Post in Shelburne, Big Indian Shop again, and the “Hail to the Sunrise” monument in Charlemont. Below the statue is a rock-bordered wishing well with each stone bearing the name of a Red Men lodge. The group, a patriotic fraternal organization unaffiliated with actual Native Americans, claims its members were some of the folks who dressed up as Mohawk Indians and dump tea into Boston Harbor in 1773, you know, the Boston Tea Party. Mohawk Trading Post aims to specialize in authentic Native American Arts and Crafts. Big Indian Shop’s inventory ranges from authentic Native American blankets to plastic and bamboo tomahawks. Indian Plaza reports hosting pow-wows on its 8 acres for more than three decades. Photos by The New England Journal of Aesthetic Research, except for the shot of “Hail to the Sunrise,” which is from Wikipedia by ToddC4176 and is reproduced here under a Creative Commons license. 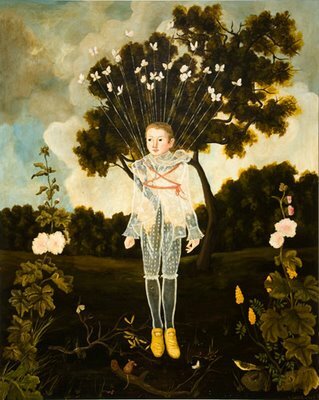 Anne Siems's paintings are time machines teleporting you back to the early days of our American republic. 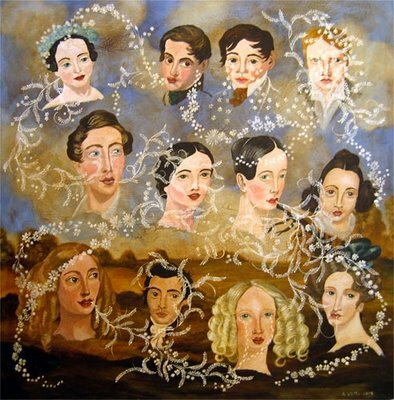 In her show at Walker Contemporary, the German-born, Seattle-based artist channels the endearing awkwardness of artists like John Brewster Jr., who roamed New England at the start of the 19th century painting portraits. 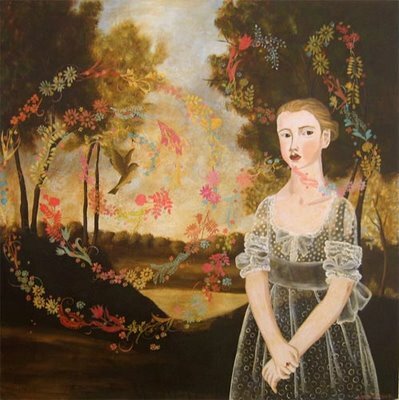 She mixes in early American stenciled wall decorations and designs that young girls embroidered into samplers. She sets it all atop dreamy soft-focus landscapes rendered with a golden brown patina that makes the paintings look antique. The combination transforms these influences from just a pastiche into something that feels fresh and sweeps you up like ravishing moments from a Brontë sisters novel. Ann Siems, “Butterfly Flight and Other Stories,” Walker Contemporary, 450 Harrison Ave., Boston, July 1 to 31, 2009.